I began referring to Obamacare as a tax and control bill by at least March 26, 2010. It is certainly that. But it is also another glaring example of Obama crony capitalism. Obama rewarded his top 2008 industry contributor, lawyers and law firms, and one of his his largest crony groups, with no tort reform. From Citizen Wells July 30, 2012. “In the Inland Empire, an economically depressed region in Southern California, President Obama’s health care law is expected to extend insurance coverage to more than 300,000 people by 2014. But coverage will not necessarily translate into care: Local health experts doubt there will be enough doctors to meet the area’s needs. There are not enough now. “The American Medical Association recognizes there are shortages in certain geographic areas and in certain specialties. Part of that is due to the aging population and a stagnant number of medical-school applicants. I was surprised and pleased to find the following article from CNN October 5, 2012. “But for all of the Obama administration’s work in creating this 906-page federal law, there is one glaring omission that could decrease the costs of health care and help relieve the upcoming physician shortage. “So why hasn’t the Obama administration included medical liability reform in the Affordable Care Act? I suspect that it comes down to dollars. Not health care dollars or insurance dollars but campaign donation dollars. 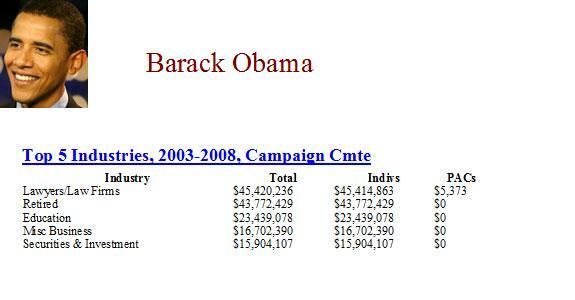 According to OpenSecrets.org, since 1990, the American Association for Justice, previously known as the Association of Trial Lawyers of America, has given 92% of its $36.8 million in contributions to Democrats. From Zero Hedge September 28, 2013. “And this is a huge reason why the shift from full-time work to part-time work in America has accelerated this year. Obamacare creates an incentive for companies to have more part-time workers and less full-time workers. In fact, almost all of the jobs that have been “created” by the U.S. economy in 2013 have been part-time jobs. From the LA Times September 27, 2013. “The Federal Housing Administration, whose role in the real estate market expanded dramatically in recent years, on Friday said it would need approximately $1.7 billion to stabilize its long-term finances. It marks the first time the 79-year-old agency will require a taxpayer bailout, which it has the authorization to receive without congressional approval. “In a letter to lawmakers Friday, FHA Commissioner Carol Galante said the agency would need about $1.7 billion on Monday, the last day of the fiscal year, to ensure it has sufficient reserves to cover anticipated losses on the loans it backs. A bailout has been expected since April, when the Obama administration’s proposed 2014 budget projected the FHA would need $943 million by Sept. 30. Carol J. Galante is an Obama appointee. From the Daily Mail September 24, 2013. One cannot escape the lies from the Obama camp, mainstream media and low information voters. I recently observed a pro Obamacare protestor touting the health care savings in California. Since I am a well informed, high information voter I knew that was a lie. From Forbes May 30, 2013. “Last week, the state of California claimed that its version of Obamacare’s health insurance exchange would actually reduce premiums. “These rates are way below the worst-case gloom-and-doom scenarios we have heard,” boasted Peter Lee, executive director of the California exchange. 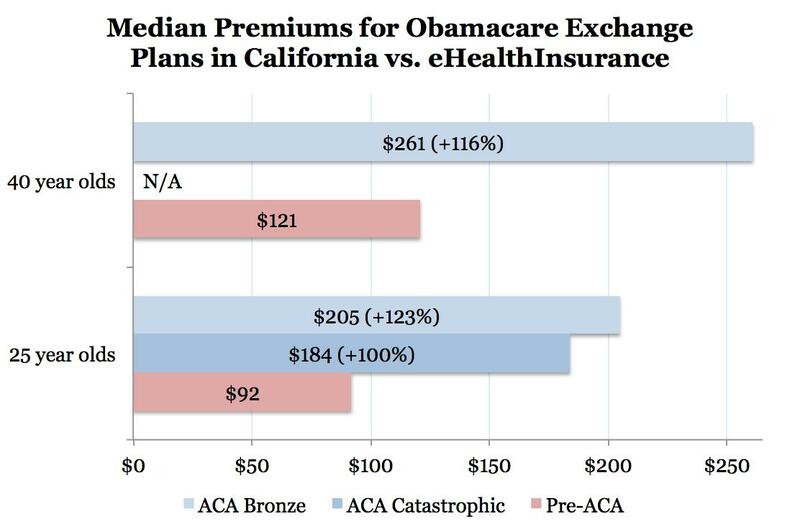 But the data that Lee released tells a different story: Obamacare, in fact, will increase individual-market premiums in California by as much as 146 percent. One of the most serious flaws with Obamacare is that its blizzard of regulations and mandates drives up the cost of insurance for people who buy it on their own. From the NY Times August 20, 2013. “On a recent morning, Jose Romero pulled weeds from a row of lush tomato plants. Mr. Romero, 36, arrived at the field around 5 a.m. and worked until sunset. Like many of the other workers in the tomato field, he was surprised to learn that his employer, Mr. Herrin at Sunrise Farm Labor, would have to offer him health coverage, and that he could be asked to contribute up to 9.5 percent of his wages to cover the costs. There seems to be widespread agreement among agricultural employers, insurance brokers and health plans in California that low-wage farmworkers cannot be asked to pay health insurance premiums. “He’s making $8 to $9 an hour, and you’re asking him to pay for something that’s he’s not going to use?” Mr. Herrin said. $250 a month for health insurance with a $5,000 deductible. College students across the country saw huge increases in their health insurance beginning in 2012 directly attributed to Obamacare. The ghosts of Obama’s past are still appearing. From the Chicago Tribune September 20, 2013. “Raghuveer Nayak, an influential Chicago businessman who figured in the downfalls of former Gov. Rod Blagojevich and ex-U.S. Rep. Jesse Jackson Jr., pleaded guilty Friday in his own criminal case to federal fraud charges that he bribed doctors to send patients to surgery centers he owns. In a deal reached Friday, Nayak, 58, pleaded guilty to one count each of impeding the IRS and mail fraud. The mail fraud charge is under the controversial “honest services” provision of federal criminal law. Nayak reserved the right to appeal the mail fraud count if another federal court upholds a challenge to the “honest services” provision in a separate case. “Nayak made millions of dollars from his surgery centers — private facilities where doctors perform outpatient procedures, from plastic surgery to orthopedics. Nayak also became a go-to political fundraiser in Chicago’s Indian community. He hosted fundraisers and often contributed himself. I have tried to report the reality of the economy and jobs situation in the US and my home state of NC. Even though I write about and comment about politicians, I am pretty much apolitical. After all, what happens in this country is about people, their families and their lives. I was touched recently by this ad in Craigslist. This is not a statistic. It is a real person who has lost a job. I know and I am certain that you know people who have been affected by the job market and economy. From Citizen Wells September 20, 2013. The article from Independent Review Journal, in a series of graphs, paints a picture of the true state of the economy and the changes in the past 5 years. There are 12.6 percent more part time jobs and 4.6 percent fewer full time jobs. Even with part time workers being counted the stated unemployment rate is 7.3 percent instead of 5 percent. The labor force participation rate has plummeted 3 percent. The average length of unemployment has risen from 17.7 weeks to 37 weeks. Median household income has dropped $ 5,000. I would like to thank Zero Hedge for this article.